Nestled down a quiet country lane just north of Ottawa Township sits a picturesque property along the eastern bluff of the Minnesota River. Christened “Bur Oaks” by the current owners who have owned the property for 40 years, the eighty acres of land features a bur oak savanna, pasture land, and restored natural prairies. Not to be outdone by the beautiful landscape, the true highlight of the property is the restored stone house and barn. 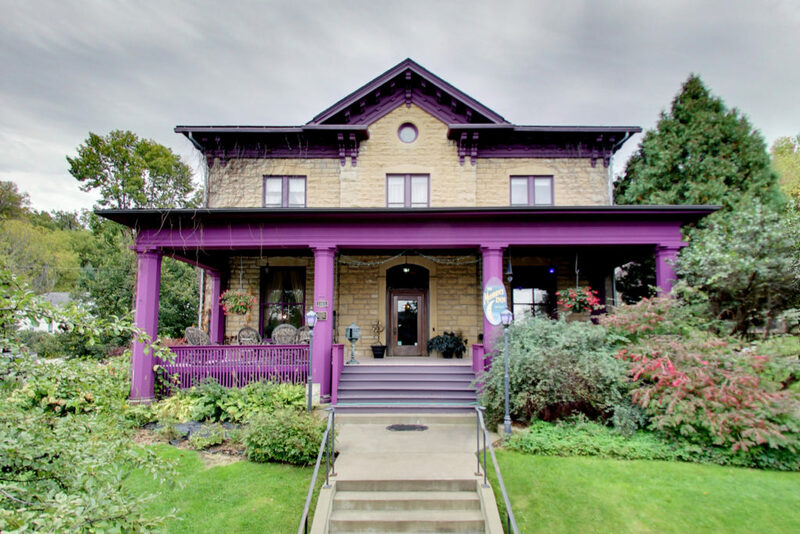 Both are listed on the National Registry of Historic Places and were built circa 1875-1877 from limestone quarried onsite by stone mason Charles Schwartz. Schwartz was born in 1830 in Buedingen, Germany, immigrating to America around 1833 with his parents and older brother. 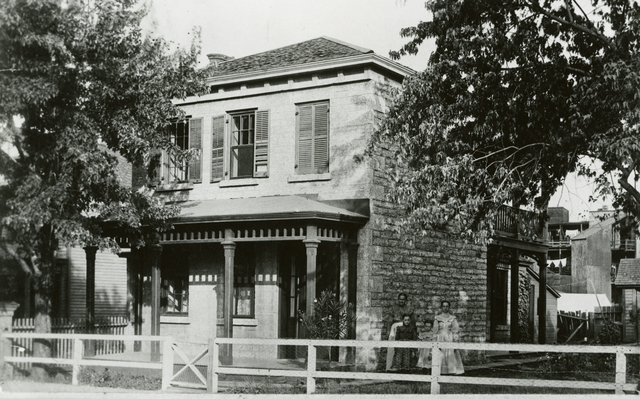 The family first settled in Pennsylvania and after a few years moved to Missouri. It was from here that Charles enlisted at the age of 16 in the Mexican War serving from 1846-1848. 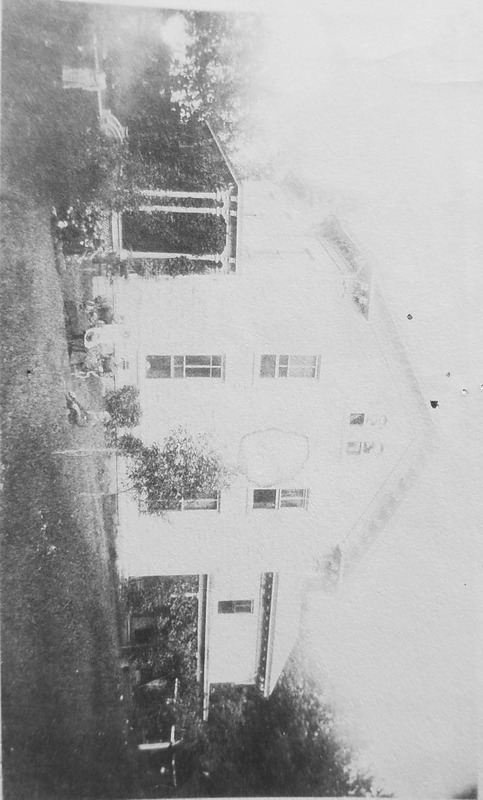 Shortly after the Treaty of Traverse de Sioux was signed in 1851, which provided settlement rights to much of southern Minnesota, Charles made a move to Le Sueur County with his family where he took advantage of a land grant of 160 acres given to him by the government for his military service. 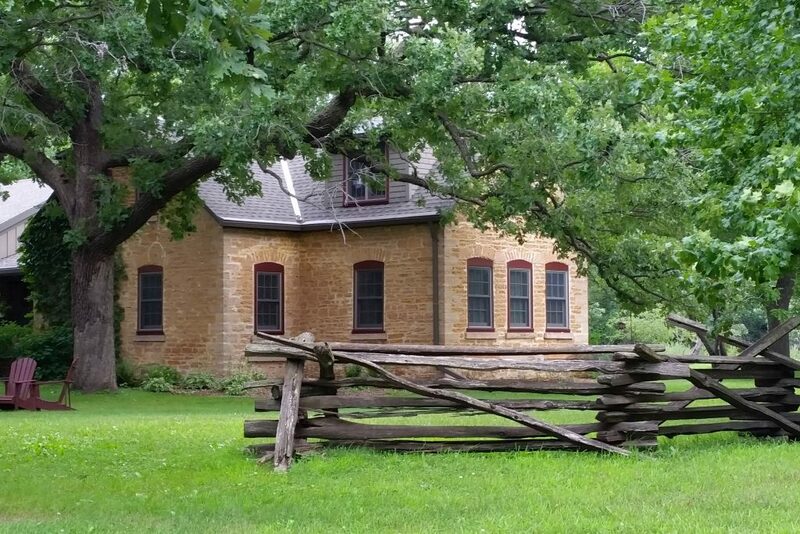 In the beginning, the home and out buildings were made of log, but Schwartz being a stone mason, took advantage of the natural limestone found in the ground and constructed the house and barn that still stand 140 years later. The property has remnants of the beehive lime kilns that he used to fire limestone for the production of mortar. It is said that his kilns provided the mortar for all the stone buildings constructed in Ottawa. An interesting historical note exists for this property, discovered by the current owner in his extensive research about its history. In the journal of French-born explorer and geographer Joseph Nicollet, who chronicled his 1830’s travels in the Minnesota region, he noted the location of “White Rock” as a landmark on the Minnesota River. The sandstone and limestone bluff easily stood out along the river and was the site of exchanges between French traders, missionaries and the native Sioux (who called it Myah Skah). 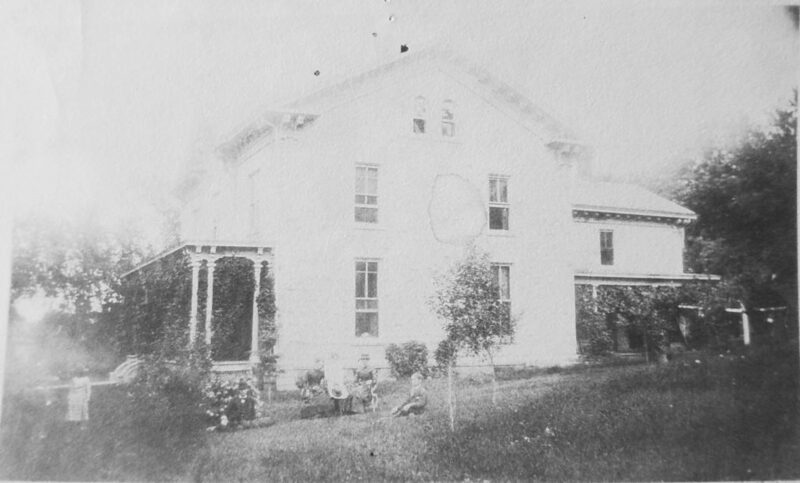 In his research he found the location of White Rock was apparently well-known locally, referenced on old land maps, and mentioned by a geologist from the Minnesota Geological Survey as being located “on the farm of Charles Schwartz”. Today natural erosion and vegetation somewhat hide the location of White Rock but the current owner believes its location is very likely the exact spot where a small cabin on the property is located today. 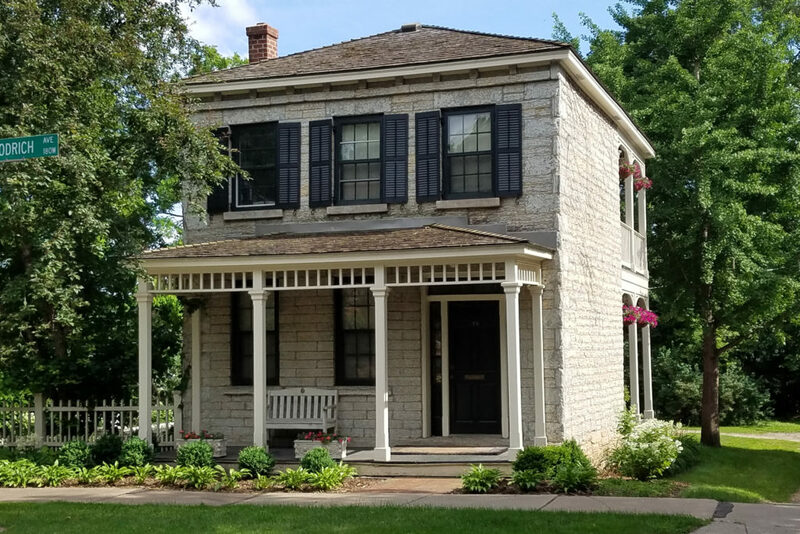 This historic property is currently listed for sale, with additional information available at the property website 38448ExchangeStreetRd.com. The restored house as seen today. The original entry ways have been turned into windows and moved to the western side of the home, to fit with the new historically sensitive addition added in 1988. 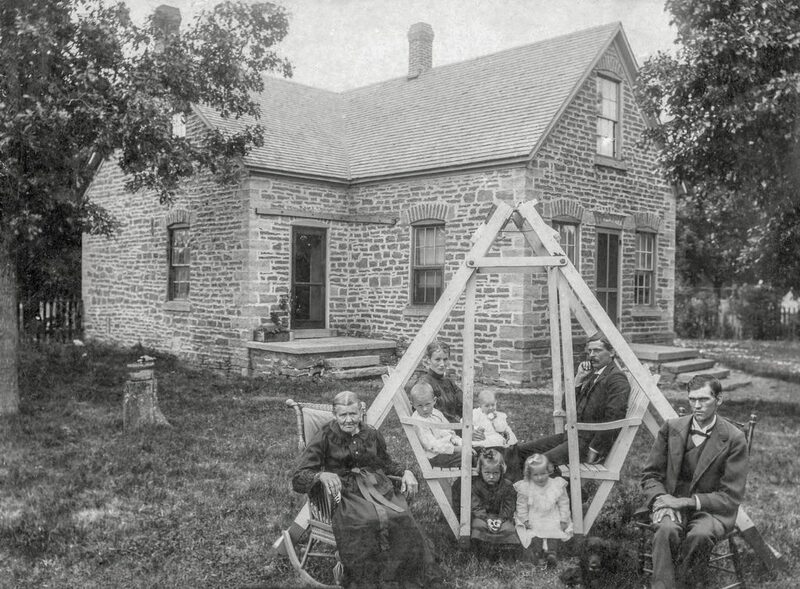 The family sitting outside the home in 1903, shortly after Charles Schwartz passed away. Some of the split rail fence is from the time that Charles Schwartz lived on the property. Backside of the stone barn restored by current owners. The stone barn has been completely restored and is listed on the National Registry of Historic Places. Bur oak savannah, pastures, and restored prairies are highlights of the property. The Minnesota River flows along the western boundary of the property.